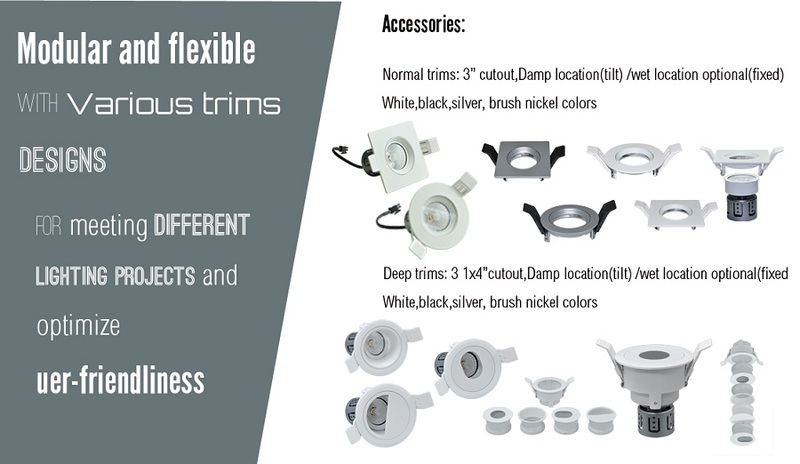 The Saturn series of recessed LED downlights are one of best selling light fixtures at Kinglumi for high flexibility and superior stability and quality. As for setting flexible and desired lighting moods, they are advantageous for including dim to warm functionality that keeps them warmer from 3000K(2700K) to 2000K(100% to 10%) when they're dimmed. This is particularly important for saving power consumptions while in the meantime building warm and enjoyable lighting atmospheres. 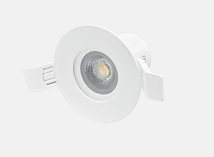 Additionally, the Saturn range of LED recessed downlights utilize the modular design covering movable and interchangeable light sources, frames and led drivers. What's particularly outstanding of the fixture is that it's offered with a large number of different trims that meet the needs of various lighting applications. There are also four kinds of finishes available for the fixture, which include white, black, silver and brush nickel colors. 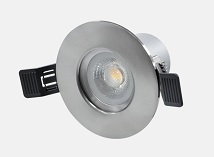 IP 20 rated and suitable for insulation ceilings, these both square and round led downlights are perfectly used for various spaces of residential buildings, retail, automotive and parking, education, government, hospitality, healthcare, offices, etc. 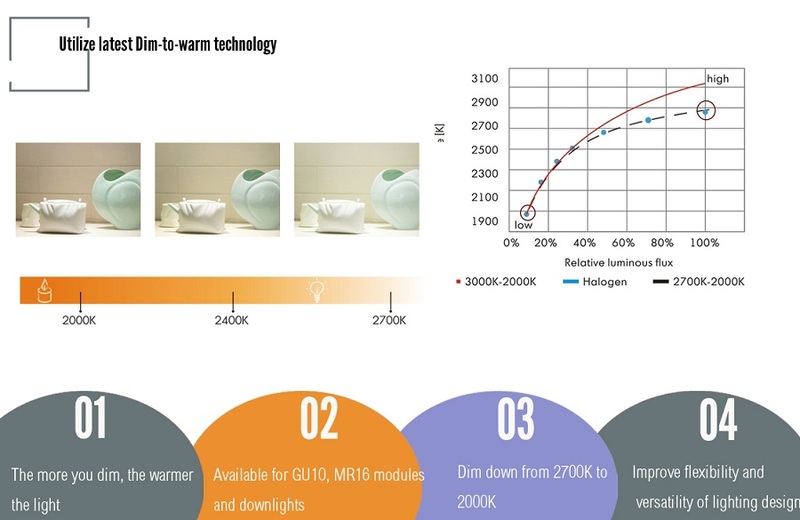 • Dim to warm recessed downlight(2700K-2000K)- the more you dim, the warmer the light. • Modular and interchangeable design covering movable and individual light parts of led source, led driver, trims,etc. 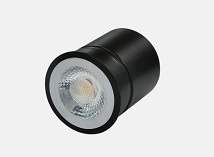 • Supplied with two different beam angles of 38°and 60°for delivering different light distributions. 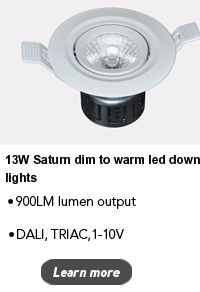 • Triac/DALI and 1-10V dimming options, adjusting brightness freely from one hundred percent to ten percent. 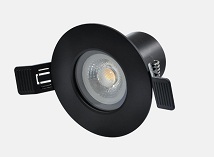 • Low profile led downlights, suitable for various insulation ceilings. 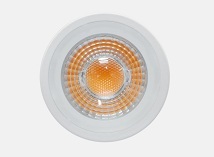 • CRI of 95, emitting extremely superior quality and energy-efficient lighting. • Safe and reliable use with CE,ROHS, SAA certificates. • Anodized extruded aluminum heat sink, crucial for heat dissipation and ensuring long lifespan.